Purchase College-SUNY will host Dinaw Mengestu: A Reading and Conversation on Tuesday, Nov. 13, 2018, at 4:30 p.m. The program, which is free and open to the public, will take place at Purchase College in the Library, 2nd Floor (735 Anderson Hill Road, Purchase, NY). It is the finale of this season’s Durst Distinguished Lecture Series, which brings some of the literary world’s most acclaimed authors to the Westchester community. Dinaw Mengestu is the author of three novels: The Beautiful Things That Heaven Bears, How to Read the Air, and All Our Names. 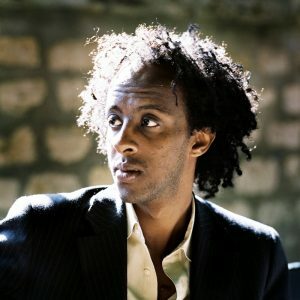 A recipient of a Lannan Foundation Fellowship and a grant from the MacArthur Foundation, Mengestu was named a “20 Under 40″ by The New Yorker. His essays and fiction have appeared in, among other places, The New Yorker, Rolling Stone, Harper’s, and Granta. For more information, please visit: https://www.purchase.edu/academics/school-of-humanities/lectures/durst-distinguished-lectures/ or call 914.251.6550. The Durst Distinguished Lecture Series and the Roy and Shirley Durst Distinguished Chair in Literature are funded by the Roy and Shirley Durst Distinguished Chair in Literature Endowment. The mission of the Durst programs is to infuse the experience and intellect of leading writers into the Purchase community, while providing diverse opportunities for these writers to interact with students and influence campus life. As a small public college, Purchase is proud to introduce students to the level of expertise provided by this program.